Can You Laugh About Your OCD? 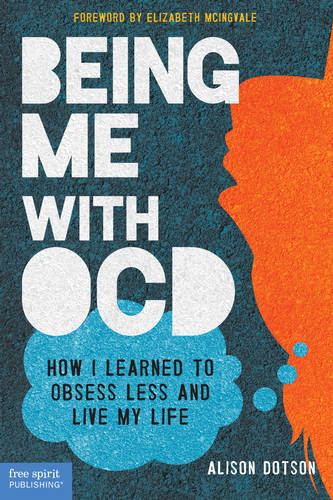 Have you seen this clip of Maria Bamford and Lena Dunham talking about their OCD symptoms? Maybe it’s because I follow a lot of pages related to OCD, but I feel like I keep running across it. At any rate, as uncomfortable as it can be to watch something like this, I’m glad these two women were honest about their obsessions and compulsions, and that Lena specifically pointed out that hers weren’t as simple as needing an organized closet. And maybe it’s because OCD and I are so intimate with each other, but I didn’t actually laugh at this clip–even though it’s been described as hilarious. I think it’s important to have a sense of humor about our hardships, but I’m just not there. When I talk in front of a group about my worst obsessions and depression, I still get choked up. And I noticed that Lena and Maria weren’t very lighthearted about it all, either. How about you? Are you at a place in recovery where you can laugh about your struggles? What if someone else laughed? I’ll say this: I am at a point where I realize how ridiculous some of my fears were. But I haven’t forgotten how they made me feel. Here’s to hoping we all get to the point where we can have a good laugh. Less pain and embarrassment is a great start. I’m much like you Alison, I really can’t laugh at my obsessions either. I really can’t see how I can make jokes about various forms of harming obsessions, especially the one’s that involve people who are closest to me. I can see how someone could make a joke about other types of OCD – cleaning, contamination, symmetry, counting, that kind of thing but I really can’t find a way to make light of something cruel or violent happening to somebody else. I just can’t find that funny. I’m a new blogger and am happy to find other posts about OCD. I have a hard time explaining my OCD to others. Mine is lists, even numbers, rows and counting. Right away everyone wants to tell me that they like the contents of their cabinets to look nice, and they have it also. It’s not easy telling them that my life revolves around this. I guess I just wanted to poke my head in, say hi, and can’t wait to read the rest of your posts! Welcome, Nancy! I can relate more than you know–I think a lot of us can! Sometimes people say things like “I love to organize my closets, so maybe I have OCD too” even after they’ve read my book or a really informative article. It can definitely be frustrating! Thanks for stopping in and saying hello.